Information Articles - New Man In The Chair At Oii - Ownership Identification Inc. The OII, Ownership Identification Inc board of directors is pleased to announce the appointment of Bob Miller to the position of General Manager, effective February 2008. Bob takes over the reins as general manager from outgoing Hugh Fallis who served the position from the Kamloops office since 2001. Hugh was well known throughout the livestock industry in BC, as a rancher, breed representative, board member and administrator. His recent retirement will now allow he and wife Marilyn more time to visit friends and family members while traveling. OII President, Brian Hill and the entire board of directors would like to thank Hugh for his many years of loyalty and dedication and wish him many years of continued success during semi retirement. Bob Miller brings a vast history of livestock industry knowledge and experience as he partnered in a father / son commercial and purebred beef cattle operation in Southern Manitoba, primarily raising Herefords and Angus. 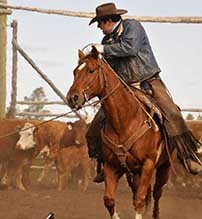 He has shown cattle at major shows including CWAgribition, Toronto Royal, Ft. Worth and Denver Stock Shows. He has judged cattle for many years for breed association shows as well as 4-H shows. He was employed with the Manitoba Hereford Association as field man-secretary/mgr. 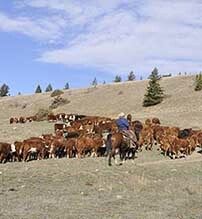 With this position he traveled throughout Manitoba and South Western Ontario visiting farmers, ranchers, feedlots and auction facilities as a breed representative. Mr. Miller is also a sports enthusiast; more specifically hockey, as he has coached all minor levels as well as Junior A in Manitoba for nine seasons and in Alberta for eight years. While in the industry of sport, Bob served positions such as head coach, general manager, chairman for many special events and provincial representative to national governing bodies. He was a playing member of a Junior A national championship team and has recently been inducted into both the Manitoba Hockey and Manitoba Sports Halls of Fame. Bob is a team oriented positive leader with good written and oral communication skills. He is looking forward to a renewed career in the livestock sector, and speaks openly of the genuine interest and enthusiasm he brings to the position. Once settling into the office routine, Bob will be traveling throughout the prescribed areas attending special events and meetings while acquainting himself with OII brand inspectors, auction market facilities and staff, and other industry related partners.